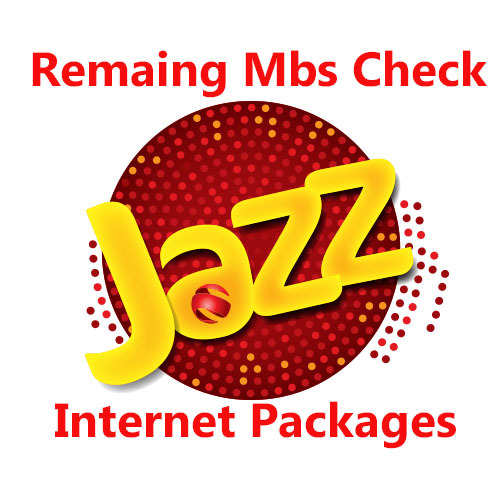 How to check jazz remaining mbs for 3g and 4g both? Today i will show you hourly, daily, weekly and monthly remaining mbs codes. You can also check warid remaining mbs through same code its working for both network jazz and warid. It is so sample and easy just add *2# at the end of your internet package code then you can check the remaining mbs. Here you activate hourly internet package and also check the remaining mbs through the below code. Here is the list of daily internet packages choose the best one and subscribe them with affordable price. Choose the best mobilink internet package in the below table and you can also check the remaining Internet Mbs Code Weekly. Jazz monthly internet packages shown in the below table select the best internet bundle for the whole month and enjoy the best speed internet of mobilink.